Learning the Violin as an adult – it's possible! Meet 'Damfino' from the Fiddlerman Forum. She is 37 years old and lives in Cleveland, Ohio. 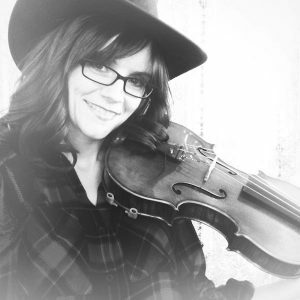 Her journey as a fiddler started in July of 2015. She's been playing the violin for 1 year and 7 months now and still going strong. During the day Amanda spends her time working as a secretary at a janitorial business. She said that it isn't an exciting job, but it gives her the energy and time to spend on her hobbies; which are spoiling her 3 dogs and rescuing baby animals, because every orphaned baby bird or stray animal seems to find her. She also enjoys nature photography, knitting, and now fiddling. She comes from a musically gifted family, most of them on her father's side. They all play several instruments, including the fiddle. None of them can read music and only learned their instruments by ear. I didn't make up these questions. Apparently Cristina did. 🙂 I wasn't aware that they were not the same questions till I saw the interview. The interview was actually done for the Fiddlershop.com blog and Fiddlershop Facebook. I liked the questions 🙂 I felt like all my answers were a really wordy way of saying "if you have been wanting to try an instrument, just do it" haha. Like Nike. Just do it!!! However, that can be misinterpreted. If you start feeling inclined to either play your violin with a tennis shoe, or run in a pair of violins, don't do it. Very nice interview. It's nice to meet the people behind the avatars and hear your motivations for playing. Keep up the great work with the violin and with animals too! 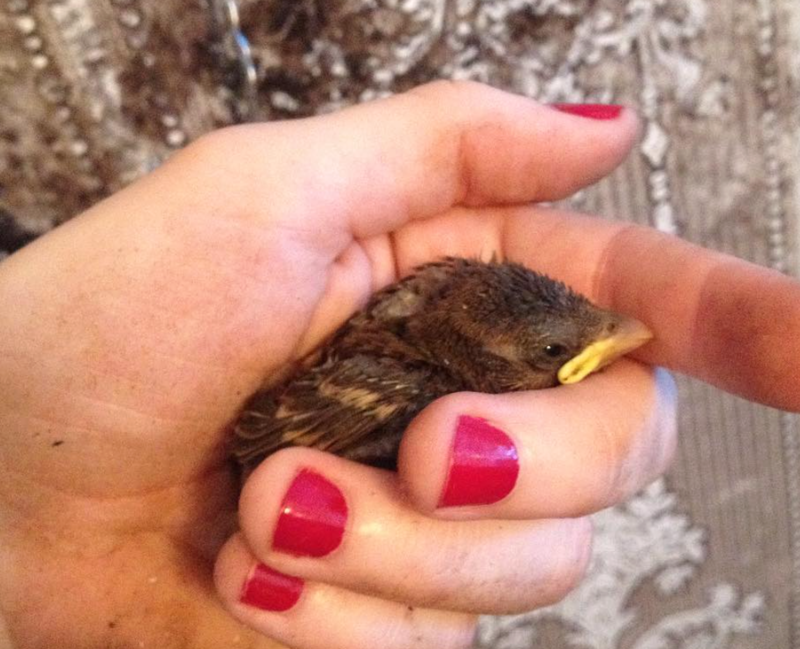 I can never decide if baby birds look grumpy, or like they have sad clown mouths, haha.